Even though I just dedicated a large chunk of my day to the Scandinavian mecca that is IKEA, my heart’s in another land. 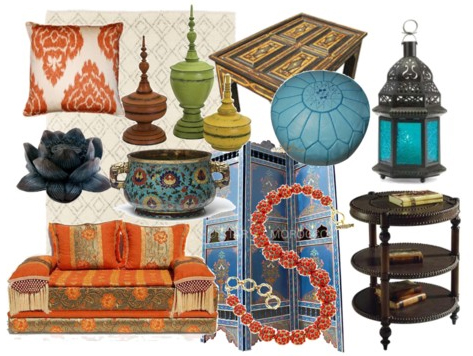 (: Totally love and am inspired by different “global” looks, particularly Moroccan. ♥ Woods stained with different saturated jewel tones, mixed patterns, lots of textures, and I’d imagine a spicy/herbal aroma… sounds like heaven to me! Anyone incorporating this look into their spaces?